Murine typhus is a disease carried by rodents (rats, mice, mongoose) and spread to humans by fleas. It is caused by a bacteria called Rickettsia typhi. 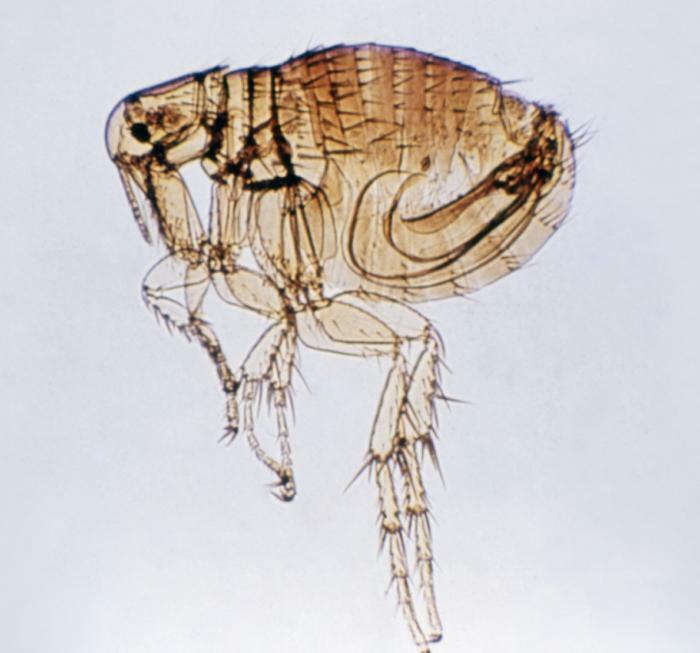 The fleas can also live on other small mammals, including pets, such as cats and dogs. Once a flea is infected, it can spread the disease for the rest of its life. The symptoms come on suddenly and include fever, headaches, body ache, joint ache, nausea, vomiting, and/or stomach aches. Some people may develop rash few days after the initial symptoms. The illness seldom lasts longer than 2 weeks, but may last for months with complication if not treated. The symptoms usually appear 7 to 14 days after the exposure. 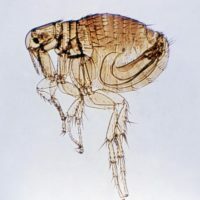 The disease is spread when infected flea feces are rubbed into cuts or scrapes in the skin, including the flea bites. It is also possible to be spread through inhalation of infected, dried flea feces, or exposing mucous membranes to infected flea feces. Murine typhus is not spread from one person to another, or from person to fleas. If you have symptoms of Murine typhus, your healthcare provider may conduct a blood test to determine this. Usually two blood tests, 2-3 weeks apart between the 1st blood test and 2nd blood test are recommended to rule out or to confirm. A doctor can prescribe antibiotic medicine to treat typhus. Antibiotics are more effective when given soon after symptoms begin. Laboratory test report can take several weeks, so your doctor may start antibiotic treatment before your test results become available. 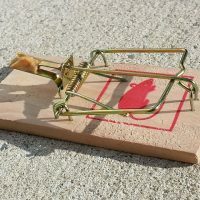 Once you have had murine typhus, you likely will not get it again. 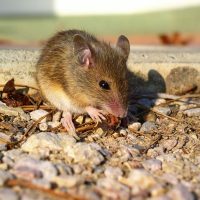 Murine typhus has been reported in Hawaii every year. Most of the cases are reported on Maui County, but there were sporadic cases on all other islands. It is assumed that many cases were not reported because two tests are needed to confirm the infection and/or symptoms are similar to other diseases, such as flu, Leptospirosis, and others. 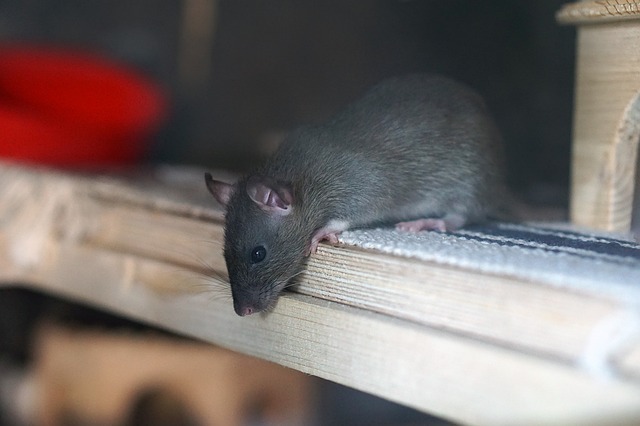 Reduce your contact with fleas, rats, mice, and mongoose. 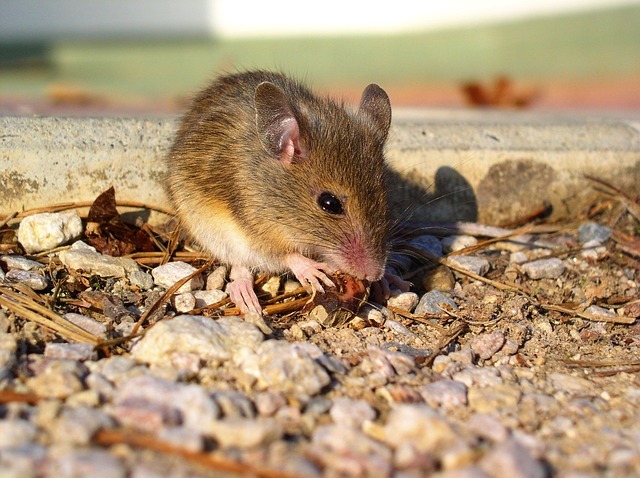 To reduce rodent populations near your home, remove any brush or trash, and keep the grass mowed. Feed pets single serving of food and water, and do not leave overnight. Treat your house pets regularly for fleas. Use insect repellents if you will be exposed to fleas. 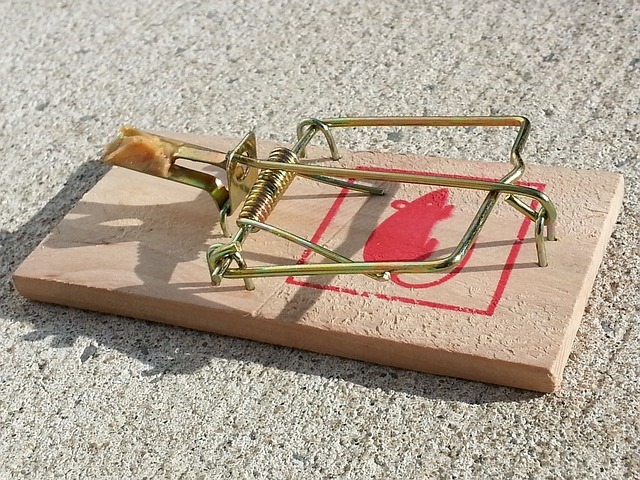 Trapping rodents alive is preferable to poisoning the rodents to prevent the fleas from finding new hosts. After the capture, double bag dead rodents and discard in trash bins. Use extreme care when using pesticides and rat/mice poisons around children and pets. Note, if other animals and birds eat poisons, or eat poisoned rodent, they also may die. 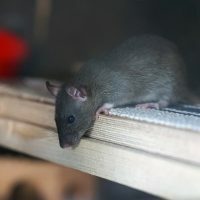 Murine typhus is an acute febrile illness caused by Rickettsia typhi. The most common symptoms are fever, which can last 3–7 days, headache, rash, and arthralgia. If the patient develop rash, it usually appear within a week after the onset of fever, non-pruritic, macular, or maculopapular, starting on trunk and then spread peripherally, sparing the palms and soles, and lasting 1–4 days. Splenic rupture, endocarditis, CNS complications, serious neurological signs, meningitis with CSF presentation consistent with “aseptic meningitis”, and others were documented. Mortality rate is low with a use of antibiotic treatment. Due to long waiting period for clinical test result and highly chance of false negative result with acute sample, it is recommended to use antibiotic treatment promptly without waiting for the test result. Abnormal finding on laboratory test includes, but not limited to anemia, decreased WBC count/elevated WBC count, elevated erythrocyte sedimentation rate, thrombocytopenia, elevated aminotransferase levels, and hypoalbumemia. Diagnostic serology requires comparison of acute- to convalescent-phase serology, so is only helpful in retrospect. Etiologic agents can generally only be identified to the genus level by serologic testing. PCR and immunohistochemical analyses may also be helpful.